Why buy it when you can DIY it? 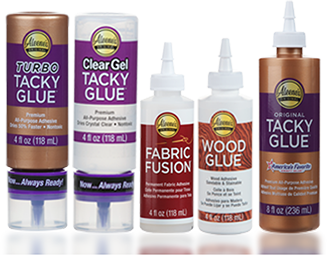 Check out the variety of DIY craft, hobby and home projects that you can make with Aleene's Glues and get inspired to make your own! Looking for fun and easy kids' projects? Check out these child-friendly arts & crafts, all made with nontoxic Aleene's glues. Don't know how to sew or don't have time to? Don't stress! Our no-sew section features fun fabric projects made with Aleene's Fabric Glues ... get started today! Found yourself in a sticky repair situation? Before you toss that broken item, you might be able to fix it with one of Aleene's many glues! Check out this section for the best glues to use for common household repairs.